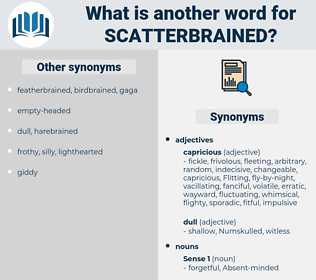 What is another word for scatterbrained? 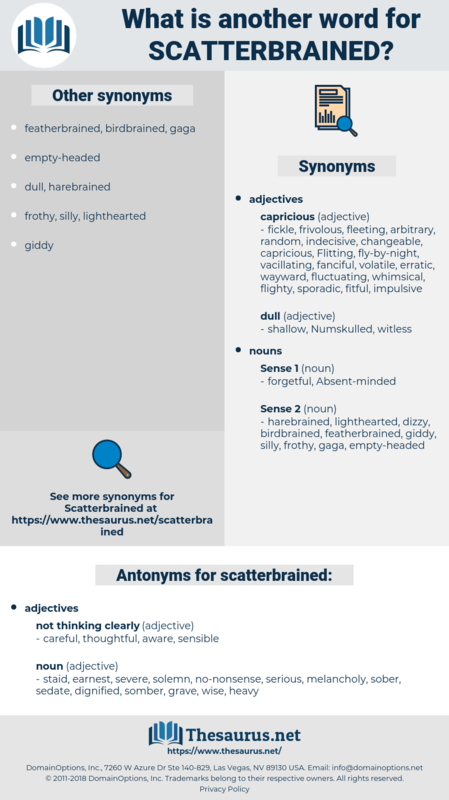 staid, earnest, severe, solemn, no-nonsense, serious, melancholy, sober, sedate, dignified, somber, grave, wise, heavy. There were many answers, mostly to the effect that Lydia was so scatterbrained - as witness her " party," and her blue - silk dress, and her broken engagements, etc. If the woman, silly and scatterbrained as she was, and led by the nose by that impudent son of hers - if she persisted, she should have the money, and take the consequences.